“Into The Groove” by Madonna has an interesting history. If you were living in the United States in the 1980s, do you remember ever purchasing a 7″ 45 RPM single of “Into The Groove?” Do you remember even SEEING a 7″ 45 RPM single for “Into The Groove?” How about in your local jukebox… no? March 29th, 1985 — “Desperately Seeking Susan” starring Madonna is released to movie theaters. 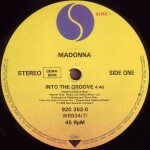 “Into The Groove” is used in the movie. A music video made solely of clips from the movie is created. First club DJs and then radio programmers begin flipping “Angel” over and playing “Into The Groove,” and their audiences go WILD. July 13th, 1985 — Madonna performs “Into The Groove” as part of her set during the Live Aid concert for famine relief. Despite this, radio stations in and outside of the U.S. race to add it to their playlists. Because “Into The Groove” never graces the A-side of a single in the United States, it never appears on any Billboard Hot 100 singles chart. Autumn 1985 — Madonna’s LP “Like A Virgin” is re-released with the addition of “Into The Groove,” but again the United States misses out on this re-packaging. November 18th, 1987 — Madonna releases a remix LP of some of her hits titled “You Can Dance” (a title taken from the opening lines of “Into The Groove:” “…And you can dance / if you want to…”). 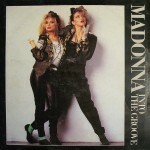 “Into The Groove” receives a spectacular 8 and 1/2 minute remix. By the end of the 1980s, “Into The Groove” is honored by Billboard Magazine as the Dance Single of The Decade. 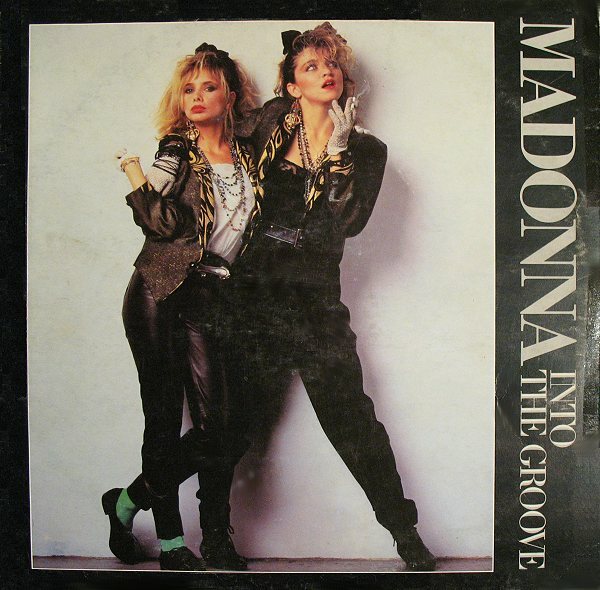 You can hear the original hit version of Madonna’s “Into The Groove” nearly any Friday or Saturday night as we play PartyMixes on BlackLight Radio! The town of Parkland, FL had big plans to celebrate the 50th anniversary of the founding of the town with a concert performance by a popular 80s artist. 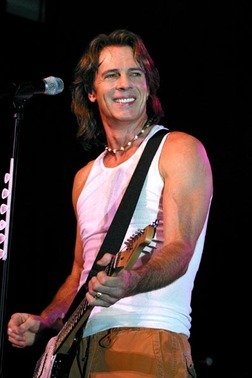 The only problem with this (admittedly great) idea was the 80s artist they picked: Rick Springfield. Now, before you fans of Rick start working on hate letters to me, let me explain: we here at BlackLight Radio LOVE Mr. Springfield. 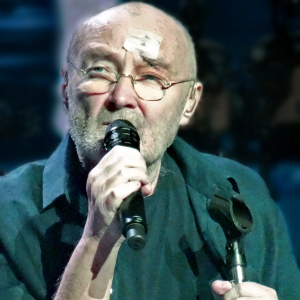 In any given hour you might hear “Affair Of The Heart,” “Don’t Talk To Strangers,” “Jessie’s Girl,” or “Love Somebody.” We play Rick because we know you love him, and because we love him. 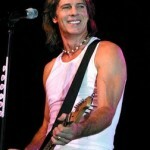 So what was wrong with picking Rick Springfield to play Parkland on April 27th in Pine Trails Park? Nothing… unless you’re the city of Parkland and ignore the fine print that says until Springfield’s concert January 11th at the Seminole Casino was over, they weren’t to breathe a word of his April appearance. They did, and his talent agency pulled him out of the show. What’s a fifty-year old town to do? Go get another Australian 80s hitmaker, of course! The Little River Band (“Cool Change,” “Man On Your Mind,” “Take It Easy On Me,” “The Other Guy”) will perform at the free concert celebration on April 27th.